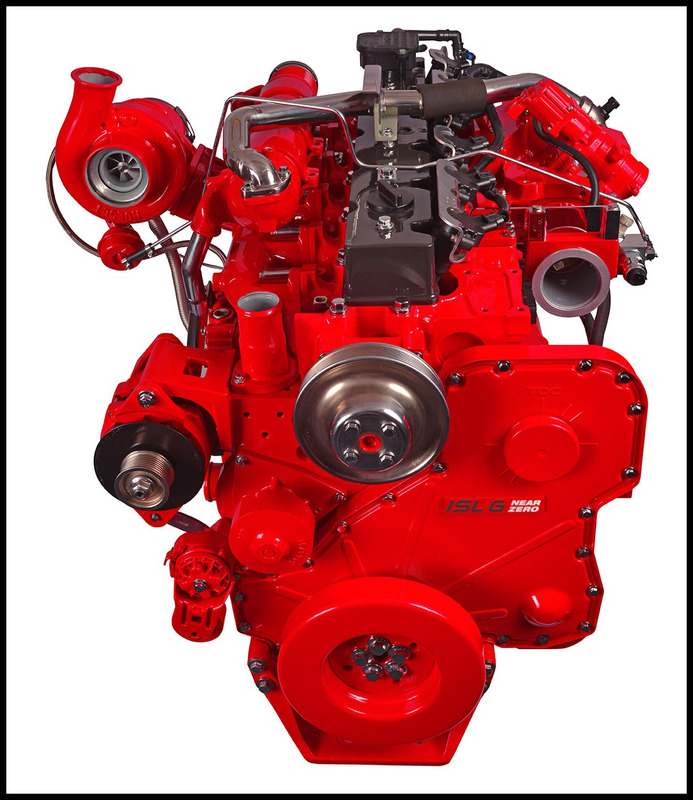 KIRKLAND, Wash., July 5, 2017 – Kenworth’s T680 on-highway flagship and T880 and T880S vocational leaders are now available for order with the Cummins Westport ISL G Near Zero NOx emissions natural gas engine. The 8.9-liter Cummins Westport ISL G Near Zero is rated at 320 hp and 1,000 lb-ft of torque. Exhaust emissions of the ISL G NZ are 90 percent lower than the current Environmental Protection Agency (EPA) and California Air Resources Board (CARB) NOx limit of 0.2 g/bhp-hr, and also meet the 2017 EPA greenhouse gas (GHG) emission requirements, according to Cummins Westport. The new engine uses advanced engine calibration, a unique maintenance-free, three-way catalyst after-treatment system, and a closed crankcase ventilation system to help achieve this reduction. 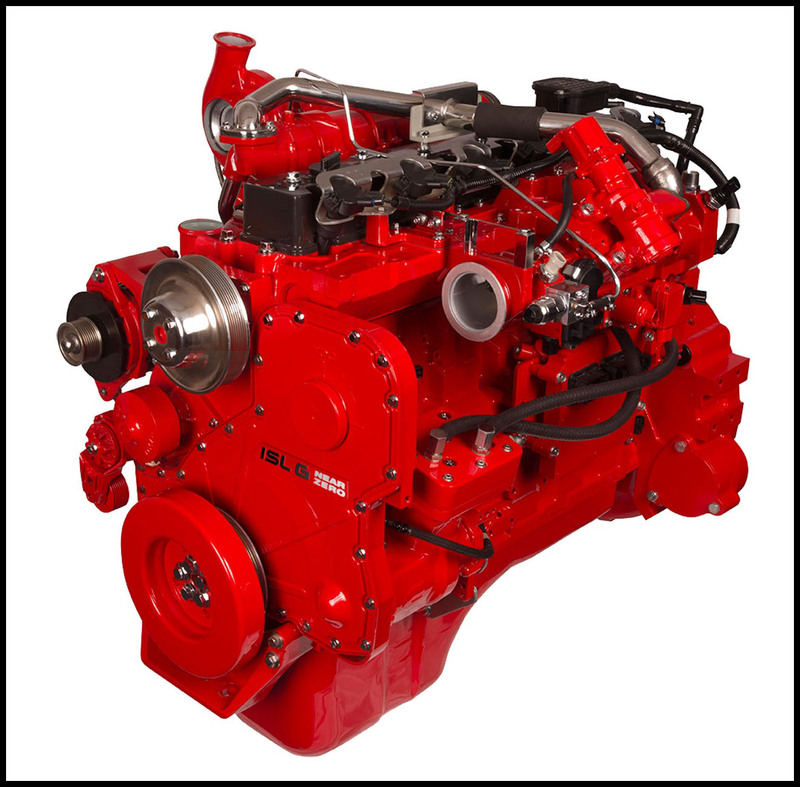 The engine operates on 100 percent natural gas, which can be carried on the vehicle in either compressed natural gas (CNG) or liquefied natural gas (LNG) form. 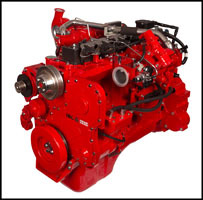 The Cummins Westport ISL G Near Zero engine is also compatible with renewable natural gas (RNG), which can provide even further reductions in GHG emissions. “The Kenworth T680 and T880 specified with the ISL G Near Zero emissions engine are ideal for regional haul, vocational and refuse fleets focused on decreasing their environmental impact and reducing operating costs,” said Kurt Swihart, Kenworth marketing director. Kenworth showcased a new Kenworth T880S mixer – its first truck equipped with the Cummins Westport ISL G Near Zero emissions engine – in partnership with CalPortland and McNeilus at the Alternative Clean Transportation (ACT) Expo in May in Long Beach, California. For more information, contact your Kenworth dealer.